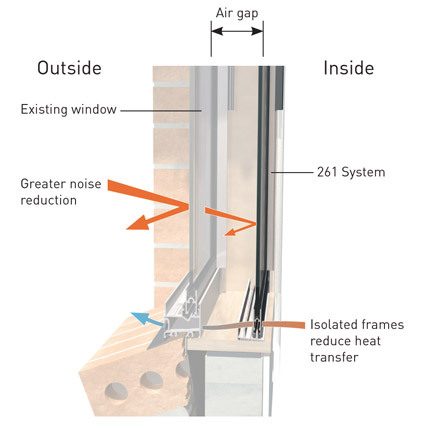 Secondary glazing is a cost effective and easy way to improve the thermal and acoustic performance of your existing window framing. The window stiles and interlocks are slim and unobtrusive with minimal impact on existing curtains or blinds. Download Technical Memo No:116 Secondary Glazing in PDF format. The following Lidco systems can also be used for secondary glazing.